The shallow outer reefs of Mo'orea (8 meters depth) showing a high-coral-cover community dominated by branching corals that predominantly are "cauliflower" corals (Pocillopora). These corals have fueled a remarkable resilience following coral livory by sea stars and a cyclone in 2010 that today leaves about 74 percent coral cover in some locations. Examples such as these are classic "oases" that are the focus of a study by California State University, Northridge. Reports in recent years about the health of the world's coral reefs say the situation is dire, but National Science Foundation (NSF)-supported marine biologist Peter Edmunds of California State University, Northridge, and other researchers have discovered "oases" where corals appear to be thriving. The oases provide hope that all is not lost for these increasingly imperiled ecosystems. 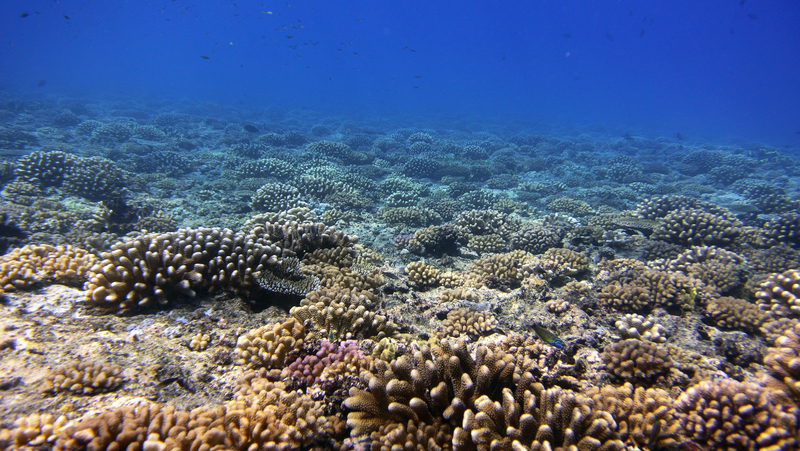 The scientists have developed a framework for identifying coral oases. They hope their findings will encourage further study into why small communities of corals are surviving when so many reefs are not and inspire efforts to identify similar oases in other ecosystems. "These oases are so important because the state of coral reefs over the last 20 years has been increasingly poor," Edmunds said. "Over the last 12 to 24 months, bad news about coral reefs has appeared at an alarming rate, in part due to the severe coral bleaching that happened on the Great Barrier Reef during the 2016 El Ni�o." For the study, the scientists categorized 38 oases as either "escape," "resist" or "rebound" oases. Escape oases are coral communities that have managed to avoid disasters such as bleaching, invasions by coral-eating sea stars, and the wrath of hurricanes. Resist oases are corals that appear hardy and able to resist environmental challenges. 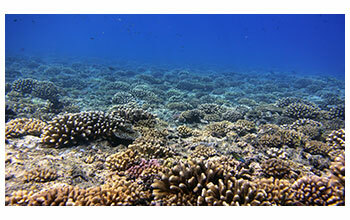 Rebound oases are coral reefs that have suffered damage but have rebounded. Edmunds says the overall message regarding coral reef health has been that reefs are dying and that many have already gone. But, it turns out that "there's hope in the form of coral reef oases," says Edmunds. "That doesn't contradict reports of coral reefs suffering huge losses. However, there are kernels of hope where corals are doing better." Edmunds hopes the study will provide conservationists and policy-makers with a tool that can be used to identify areas that warrant stronger protection. "If oases are persistent," he said, "they might offer the best chance of survival for many species of animals and plants."